The differences between the two systems are blatant, in my humble opinion. However they have wanted to try, and this is positive. My opinion, based on the aquariums seen and reproduced on these pages, indeed is quite trenchant, because I consider the result in a little bit negative way. But like most things we got to start somewhere, and after all this is a way of bringing out marine aquariums and as such to praise. Aquascaping, if we want to explain it in a nutshell, consists in the setting up of an hardscape, then we add water and later we introduce some plants. All these things are much less difficult compared to live corals, and also to marine fishes. I don’t know exactly the rules that have led this contest. Indeed they were reported in Chinese language but our special powers did not allow us an appropriate reading. We could only see a few tanks set up with fishes and corals. We don’t know how much time has been granted to the players, nor we know who were them because, unlike we saw for the Aquascaping contest whose beautiful tanks could seen here, there were no names or pictures shown. Probably the names were listed in Chinese language. If I’m correct the chairman was Tony Vargas, at least this is what I could pick up on Twitter in the days preceding the exhibition. 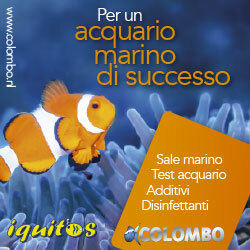 Well, the last one was outfitted with fake corals… to quote a well known italian advertising… what else? Someone has reported to me on facebook there was other tanks I didn’t see, please send me so I can update the article. To deepen the knowledge about CIPS 2017 you can read our editorial you find here, where you can find all the links to the articles we have written and to the ones we will write from now forth.